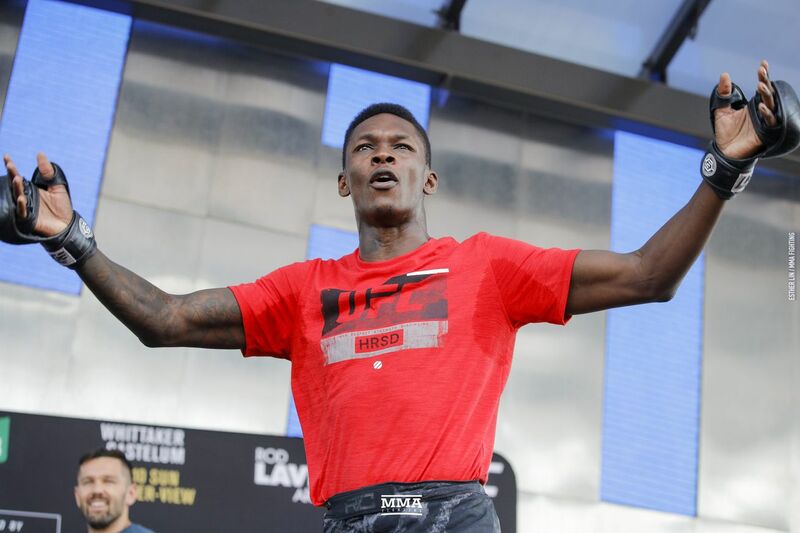 In just his first 14 months in the organization, “The Last Stylebender” has been a busy man, racking up a 5-0 record en route to earning the interim title shot against Kelvin Gastelum that awaits him at UFC 236. It’s the type of sudden rise that stands in stark contrast to the six-year road Gastelum has taken to reach his opportunity on Saturday — and Gastelum has noticed. Ahead of UFC 236, Gastelum has questioned the résumé of his foe, wondering whether Adesanya has braved the fires of 185 pounds like Gastelum has with his string of performances over Ronaldo Souza, Michael Bisping, Vitor Belfort, and Tim Kennedy. But Adesanya, who recently scored the best win of his career with a decision over legendary former champion Anderson Silva at UFC 234, thinks Gastelum should probably look in the mirror before he starts critiquing victories over aging legends. Adesanya went on to elaborate on his point that Silva, even the 43-year-old version he faced in February, will be the toughest opponent of his career thus far, not Gastelum. Adesanya, 29, has exceeded expectations thus far in his brief UFC career. His unbeaten 5-0 run includes wins over respected veterans like Silva, Derek Brunson, and Brad Tavares, and his decorated kickboxing background has translated beautifully into an entertaining and elusive MMA striking style. But despite his busyness in his first 14 months in the company, Adesanya also has never faced an opponent with the type of well-rounded skill set that Gastelum will carry into UFC 236. So after being more than happy to play mind games with past Octagon foes, Adesanya knows those same games would be wasted on the man standing across from him on Saturday simply because Gastelum is a different breed of competitor.